A many of oil processing machinery are needed in different oil processing stages. 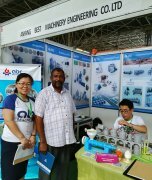 For example in the pretreat section, oilseed separator, dehuller and other seed cleaning equipment are all necessary oil processing machinery. In the pressing section however, you will need quality oil expellers which is also the most important machinery in the oil processing equipment. Then when it comes to the extraction, oil seed extractor, desolventizer toaster, solvent evaporator will be necessary. Oil filter press in important machinery in oil refining section to remove phospholipids, FFA, pigment, off-flavor and other impurities in the oil. Our oil processing machinery are with big capacity which mostly use in middle-large scale oil processing plant. 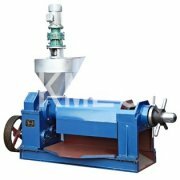 Usually these machinery can be grouped into two different types: One is hot pressing, which includes steam cooker and oil press. The other is the cold pressing. The advantage of this kind of machine is lower temperature when press the seeds. It is about 80 degree, which can protect the nutrition element in the oil. 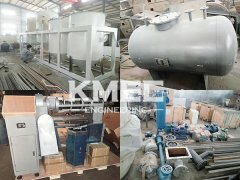 KMEC is your trustable oil processing machinery manufacturer and supplier directly from China. At our website you will find all types of oil processing machinery for various oilseeds. If you want to know more, please feel free to contact us in the following form, we are always at your service!